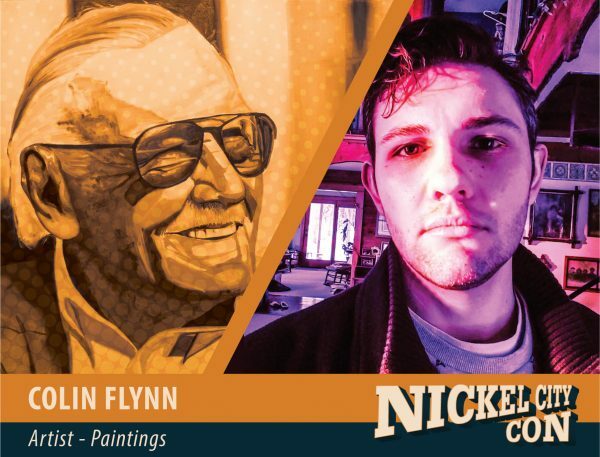 Colin Flynn is a Buffalo artist with an eye for Comic Culture. His primary medium is Oil painting. Under exploration of the different painting mediums and screen printing he found his love for color. He is heavily influenced by Artists, Alex Ross, Jim Lee, Paul Shipper, and Andy Warhol. In his work he likes to capture singular moments from Comic/Science Fiction films and television. Through the use of electrifying colors he brings these characters to life.